Prepare a piece of foil for each piece of fish. Make them large enough to place fish in and fold over to cover. 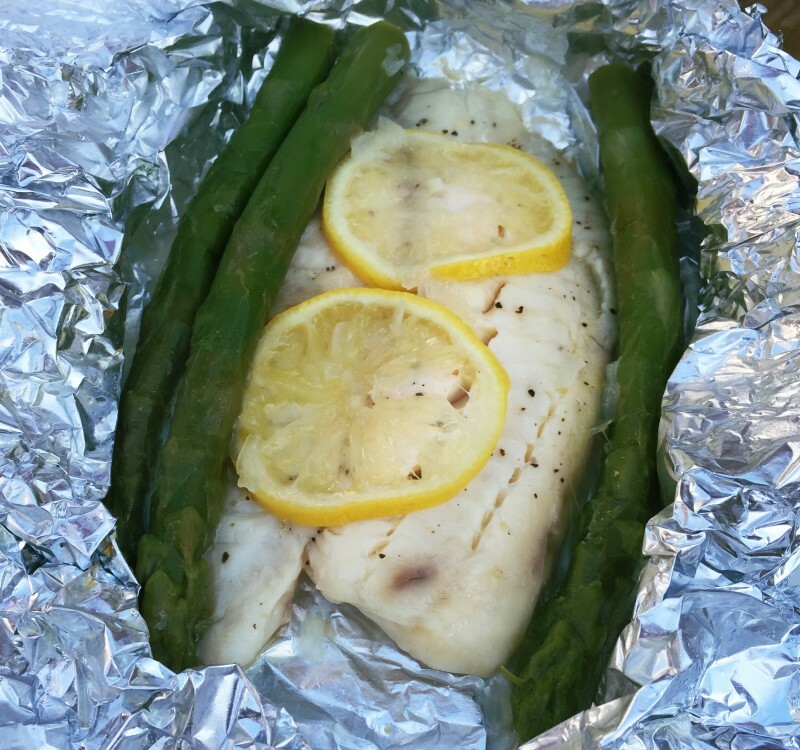 Place a piece of fish in the center of each foil. Melt butter in microwave and brush on both sides of the fish. Season each with thyme, salt and pepper. Evenly top each fish with lemon slices, onion and asparagus. Fold up the foil to seal. Turn off one side of the grill (or if using charcoal, push coals to one side). Place foil packs on the ‘cool’ side of the grill. Close lid and cook for 10-15 minutes.